What separated Bryce Astle from most others? My son Bryce William Astle died at the age of 19 in an avalanche while training with the U.S. Ski Team in Soelden, Austria. 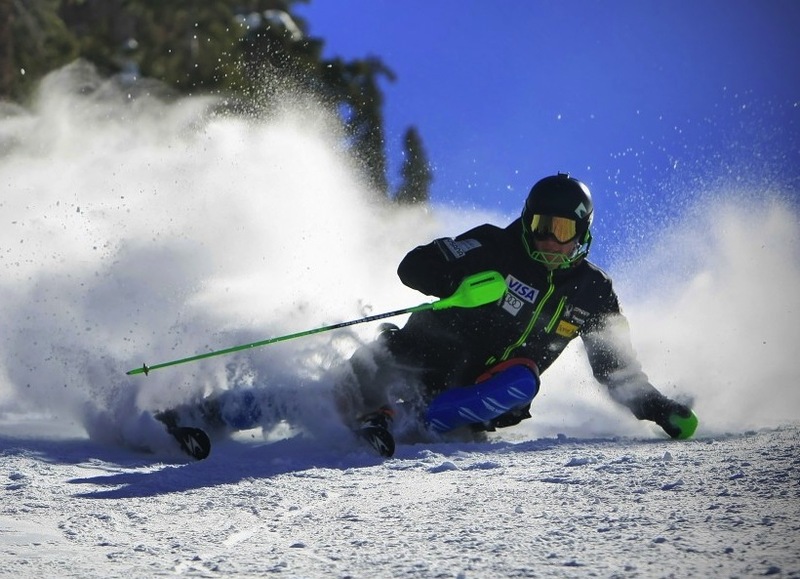 He was on the cusp of his breakout into the dream career of becoming a professional ski racer. As a parent, I wanted to put some of my thoughts down on paper about Bryce and what enabled him to achieve his goals so others may possibly learn from his example. A “positive attitude” is was what I have heard most coaches, teammates, brand representatives and parents say was the secret to what separated my son from most others. In Bryce’s opinion, every day of skiing is a good day of skiing – period. Put your arms around that and you will be a better skier. But why was Bryce so good? Bryce practiced extreme humility. He wanted everyone else to do as well as he did and he was more than willing to help others get better in the process. When he was done racing, he planned on becoming a coach. Bryce didn’t want to be just good, he wanted to be the best and he was willing to put all distractions aside to accomplish that. He was totally committed and focused. I used to tell him, “To be successful you have to be willing to do the things that the unsuccessful people aren’t willing to do.” I think he embraced that. He achieved every goal he ever set for himself except when he ran out of time. My son’s determination was evident in his unconditional willingness and commitment to do whatever was needed to reach his goals. His end goal was not to make the U.S. Ski Team but rather to be the best skier in the world. My son truly loved skiing. He spent much more time freeskiing than he did racing. He loved all aspects of skiing: powder, hucking cliffs, wind buff, slopestyle, big mountain ripping and, yes, racing too. He loved the people, the mountains, the atmosphere, everything about it. This truly was his life. What happened a second ago didn’t matter to Bryce – the only thing that mattered was what was in front of him. He could completely screw up his first run and not even make the flip, then go back out to win the second run. He lived in the moment. Bryce was always working on skiing better by putting together the building blocks. There were no excuses about boots or equipment set-up, the light, snow conditions, course set, etc. – just ski better and you will do better. My son knew if he had a good run or not, what place he came in did not matter because he was ultimately only racing against himself. Was he happy with his run or not? He would tell me that some of his best runs were DNFs. The last race of his life he said he was too conservative in his first run but he was ripping the second run up until he booted out. That would have been a 10-12 point GS finish. No problem, on to the next race. Unfortunately, that was his last. I believe a major core strength in Bryce’s abilities was having the knowledge he could do something. Once he knew he could execute a particular skill, it was game over and on to the next building block. Bryce could create speed like no other. From big mountain extreme skiing, he learned to work with the mountain instead of fighting against it by developing his touch. He could see and feel the fall line of the mountain and was able to move his body fore and aft in an effortless motion to create speed. Bryce was a silky smooth skier. Both mileage and variety are the keys to development, and Bryce skied roughly 1,000 days before he ever went through a race course at age 12. At the age of 19, he still went over to Alta to rip the mountain with his brothers and friends after finishing training at Snowbird. Bryce was dynamically athletic, with quick feet and developing strength. He knew this was critical to his success as a ski racer. Until his later teenage years, he did not ski in the summer. Bryce played soccer, basketball, volleyball, lifted weights, surfed, road bikes and ran. Way too many kids and parents think that they are missing out if they don’t ski in the summer, but it’s a bad assumption. Being a well-rounded athlete is much more important. Bryce ran out of time to fulfill his higher goals and to make the changes he wanted to in his next ski race, but he possessed all the character traits and building blocks necessary to succeed in any endeavor. Those who can find the strength to do the same will undoubtedly discover the particular joy Bryce found in achieving his goals and then moving on to even more challenging ones. SkiRacing.com had the privilege of covering Bryce’s impressive podium results at U.S. Nationals and on the NorAm circuit in our articles here: 2014 U.S. National Championships GS, NorAm Openers at Copper, Panorama NorAm Slaloms, and Men’s NorAms Wrap Up in Panorama. You can see more photos of Bryce in his memorial gallery here. Raich and wife Marlies Schild expecting first child next month. Reinhold Gappmaier and Hannes Reiter share the best time of year to fit ski boots.